Outside your door lies a world of adventure, danger, mischief, and mayhem waiting to be explored! Grab a backpack, a sandwich, that monster you call a “sibling,” and head out into the wilderness, leaving the comfort of home at your back. The objective of The Siblings Trouble is to cooperatively play through a pocket-sized adventure with your friends or family. During your adventure you’ll explore a mysterious place (the Hillside Cave, the Ancient Forest, etc.) and have a series of narrative moments that lead to the final encounter and Epic Treasure. Survive them all and the memories and treasures of your experience will be yours; fail and get sent home. If all players are sent home, the game is over... no more fun, just an early dinner, bath, and straight to bed. The Siblings Trouble boils down all the core elements of an RPG (storytelling, exploration, discovery, treasure, encounters, etc.) 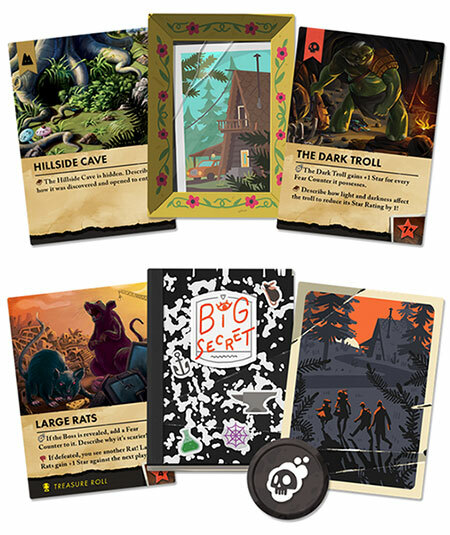 into a fun-to-play narrative romp with your family or friends. This is a 30 minute narrative game you can play as an ice-breaker, in-betweener, or as a way to introduce storytelling and adventure games to new players. This is not trying to make a simplified, beginner version of Dungeons and Dragons. It is an experience unto itself which leverages the fun of pen and paper games and lets players have quick, enjoyable adventures together. Also, rather than high-fantasy, TST is influenced by Miyasaki, The Goonies, The Hardy Boys, and even Pikmin. This video gives some of the inspiration behind making the game and a brief introduction to what it is about. 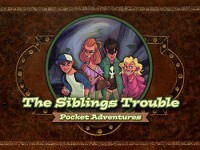 Add a Review for "The Siblings Trouble"